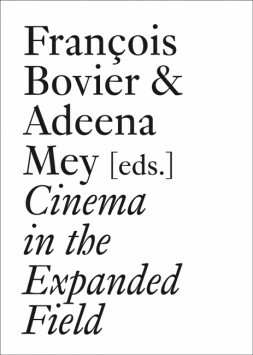 This volume, published in parallel to Exhibiting the Moving Image, extends the inquiry into the history, theory and practice of exhibiting artists’ cinema, video, installation as well as advertising films, by focusing on the domains of performance and of the ‘expanded arts’. Conceived together as part of a research project conducted at ECAL (Ecole cantonale d’art de Lausanne), supported by the Haute Ecole Spécialisée de Suisse occidentale, both volumes offer case studies of ‘exhibitions’, understood as events whose singularities emerge through the problematic they raise, articulated to the formation and redefinition of larger ‘exhibitionary complexes’. The intention is to sketch alternative archaeologies of film exhibitions and complicate their histories as indexed either to the black box or to the white cube. Instead, we aim to map situations of cross-pollinations and hybridization, as well as exclusions, between these devices, yet accounting for the singularity—resulting from the relationship between the aesthetic domain, technical apparatuses, discourses and audiences in their spatial settings—of each of the events studied. The book is part of the Documents series, co-published with Les presses du réel and dedicated to critical writing. This volume is published with ECAL, University of Art and Design, Lausanne.